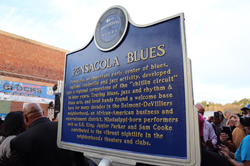 The Mississippi Blues Commission and Visit Pensacola honored the legacy of the blues in Pensacola with a designation as an official stop on the Mississippi Blues Trail on Friday in the historic Belmont-Devilliers neighborhood. Pensacola, an important early center of blues, ragtime, vaudeville and jazz activity, developed into a regional cornerstone of the "chitlin' circuit" in later years. What an incredible honor for such an important piece of Pensacola history. Our destination is excited to welcome Blues-lovers from around the world. The Mississippi Blues Commission honored the legacy of the blues in Pensacola with a designation as an official stop on the Mississippi Blues Trail. A dedication ceremony for the official Mississippi Blues Marker took place in the historic Belmont-Devilliers neighborhood of Pensacola on Friday, Jan. 18. The Pensacola marker, Marker No. 203, will be the second marker recognized in Florida. 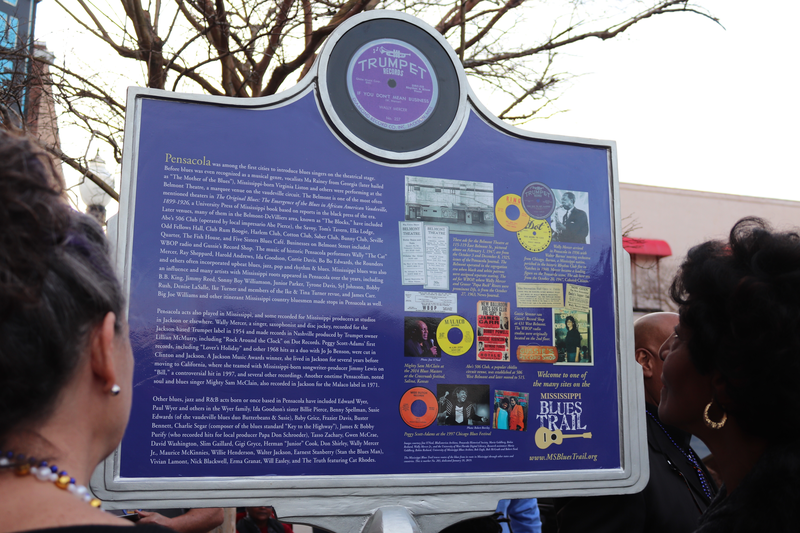 The Pensacola Blues Marker will be located at the corner of Belmont and Devilliers streets at Five Sisters’ Blues Café, the former site of Gussie’s Record Shop and the historic African-American business entertainment district. Visit Pensacola is the destination management organization for Escambia County which includes Pensacola, Pensacola Beach, and Perdido Key. With over 450 years of rich history and 18 miles of sugar-white sand beaches bordered by the emerald-green waters of the Gulf of Mexico, visitors from all over the world are lured to our pristine shores every year. Visit Pensacola supports the community vision of tourism by serving as the central body responsible for building tourism as an economic engine for our community through leadership, connection, collaboration, and communication. Mississippi-born performers such as B.B. King, Junior Parker and Sam Cooke contributed to the vibrant nightlife in Belmont-DeVilliers' theaters and clubs.